Implant therapy is prescribed for people that have one, multiple or all of their teeth missing. People with multiple or all of their teeth missing typically have complete or partial dentures; this treatment option is called Overdentures. 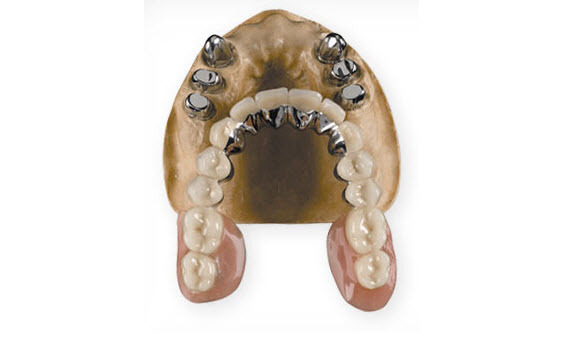 Overdentures are replacement teeth retained by dental implants or remaining natural teeth. Overdentures were developed to help both partial and fully edentulous patients regain a quality of life, which most likely has been missing since they lost their teeth.